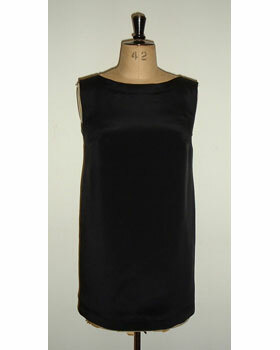 Black silk sleeveless shift has bateau neckline, rear button fastening and moderate shaping through body for a clean, modern look. Copyright © 2016 Paul Hawley London. All rights reserved.